The Ferndale Golden Eagles have put together a strong season in the always competitive Northwest League. 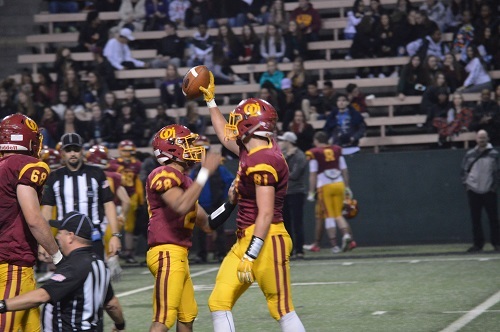 Head Coach Jamie Plenkovich joins Steve Dion to take a look back at the notable games against Lynden & Squalicum, the strong football roots in Northwest Washington, & looks ahead to Friday’s big playoff game against O’Dea. Listen to Steve Willits’ team preview of the Ferndale Golden Eagles by clicking on play button below.